Are you seeking something that will challenge you and your faith? Do you volunteer your time and ability to help others? If you do volunteer, then it’s highly likely you understand in your heart that helping others is in a sense helping yourself. 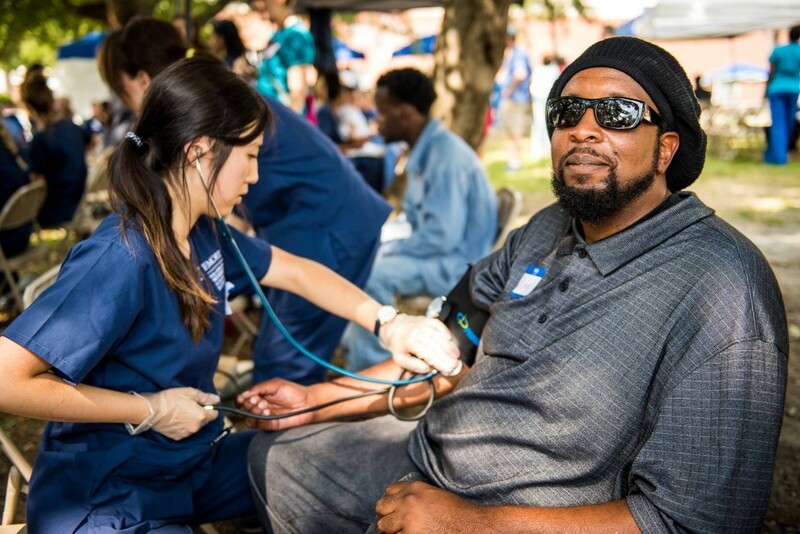 That feeling is one you no doubt will encounter should you participate in a program here in Atlanta that Lazarus leads using the Jobs For Life curriculum. 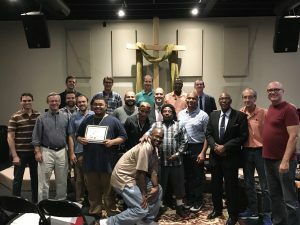 The three-month long Jobs For Life class is part of a partnership between Lazarus, Redeemer Community Church in Vine City and Atlanta Mission where volunteers, or “champions,” engage in mentoring relationships with those in need to rediscover dignity in the form of meaningful employment. The JFL course I participated in this past fall started with about a dozen students and champions each; men from a wide array of backgrounds and life journeys, who over the course of a dozen weeks traversed down a faith-based road built on trusting God and leaning on friendship and support with a goal of leading to vocational success for the students. Each week as we sat eating a chicken sandwich or burrito, thanks to partnerships with Chick-fil-A and Bell Street, our group would engage in lively conversation, laugh heartily and bow down to our Lord in prayer. We would discuss topics such as, “What is our value and God’s design for work?” or “What is the concept of character and the ideal employee?” and “Vocational planning and God’s plan in our lives.” We also took career assessments, discussed best practices for resume writing, and conducted mock employer interviews. It was a true joy being with these dedicated men, many who were facing long-term employment. And the more I learned about their journeys and the obstacles they continue to face, the more inspired I became watching their tenacious focus to find vocational triumph. Their faith, their commitment, their enthusiasm, their self-confidence, their love of God – I was in awe of it all. Truly, these men and this JFL class reminded me of the importance of applying my gifts and talents to a career that will fulfill His purpose and greatly enrich my life and my ability to provide for my loved ones. You know what they say in job-hunting in that it’s not what you know but who you know. That was somewhat evident as through some hospitality connections, I was able to assist my JFL friend Robert. get hired at one of Atlanta’s best-known restaurants. I’m trying through another connection to get Ralph some voice-over work. I heard today that Barry got hired at Piedmont Hospital, and there have been other success stories, too. Do you have connections in Atlanta? Can you help someone get back on the right track professionally? Do you have time to give? Are you looking for a program where you can help someone in need of transformation? Jobs For Life is just that, but don’t be surprised if you’re not transformed, as well. Drop us a line if you’d like to know more about these classes! The 15th Annual Lazarus Christmas Dinner was wonderful. 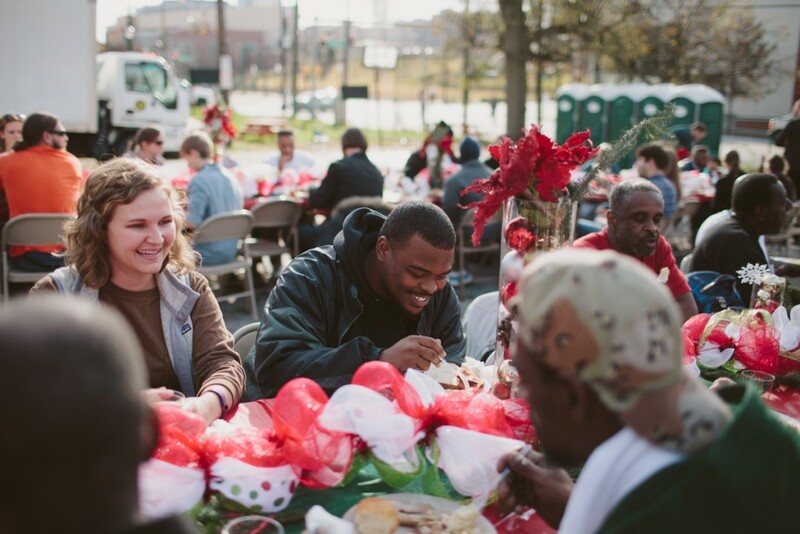 With the help of over 150 volunteers, we celebrated Christmas and feasted alongside over 200 guests. Our tables were filled with beautiful decorations and heaping plates of food. 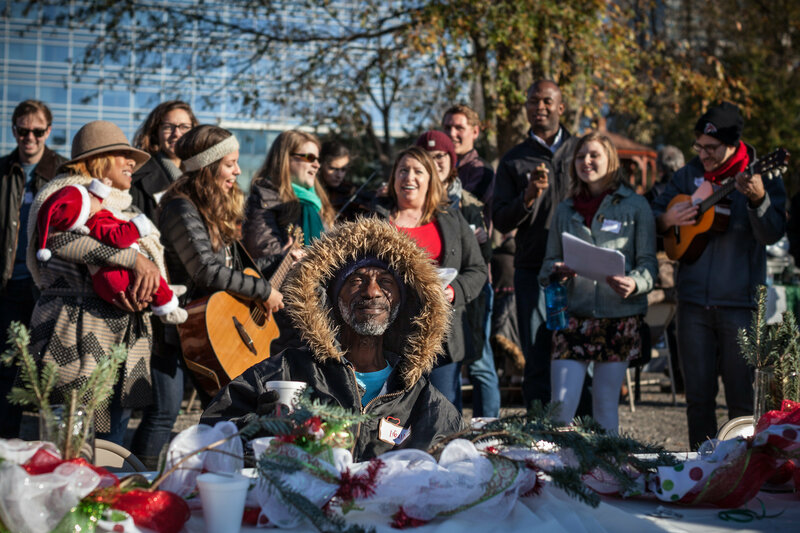 People gathered around them, engaged in conversation and sang carols together. The barriers that often divide were no where to be seen. Curtesy of Jessie Parks and David Carr, you can view beautiful pictures from the event here. 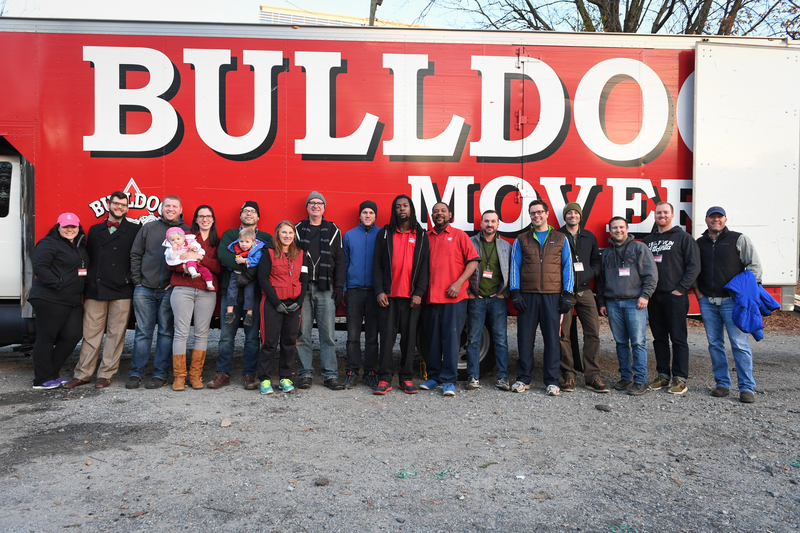 Special thanks to our friends at Atlanta Mission, Bulldog Movers, Event Services of GA, and Trinity for helping us pull off this meaningful event. 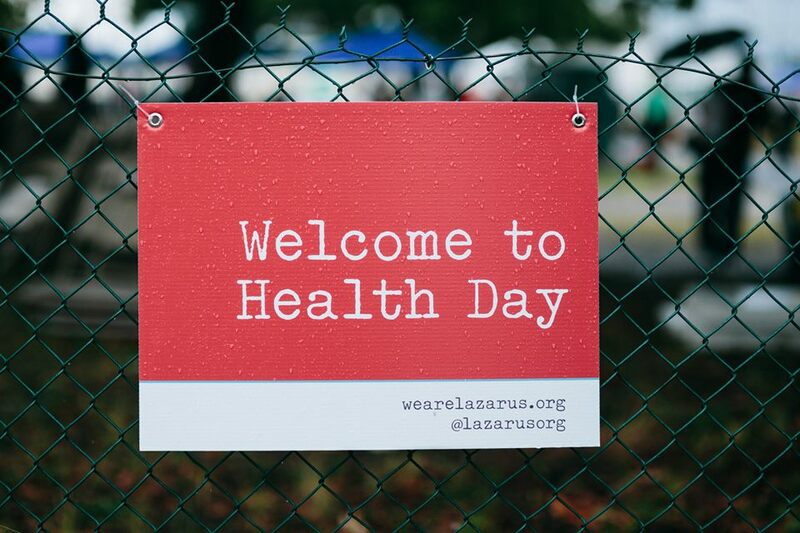 The 10th Annual Lazarus Health Day might go down as one of the wettest, but it was also one of the most beautiful events we’ve ever seen. The Atlanta community came together in incredible ways throughout the day and it was wonderful to witness. We are continually amazed at how well everything comes together year in and year out at our events, even when we’re thrown curveballs like the downpour we faced on Sunday. We are so grateful for our friends at Atlanta Mission, Bulldog Movers, CMDA Atlanta, Event Services of Georgia, GVHCP, King of Pops, MailChimp, Redeemer, Trinity, United Way of Greater Atlanta, Wesleyan School, and all of our wonderful volunteers! You can view some beautiful pictures of the day here. 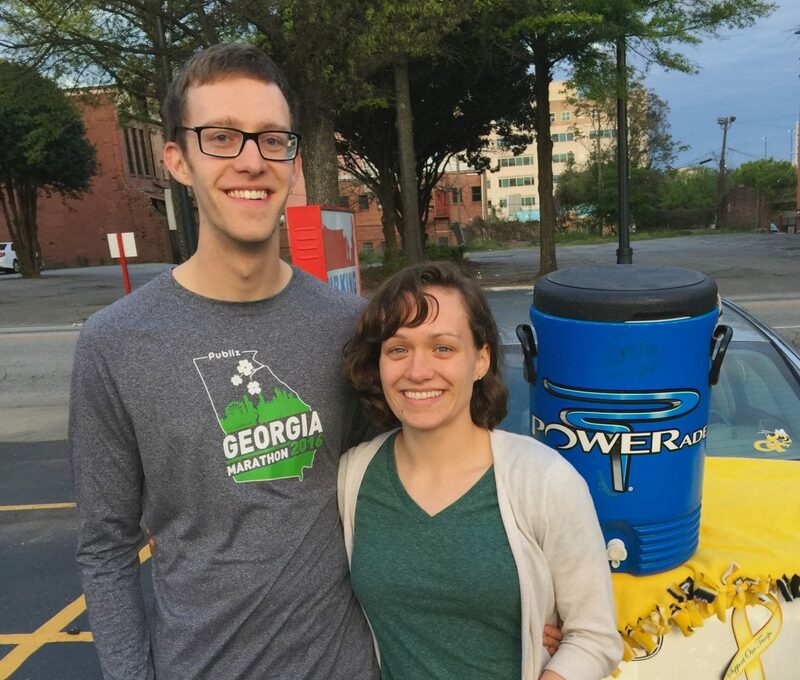 Patrick and Lauren lead one of our Atlanta weekly outreach teams. Read the interview below to find out why they volunteer their time in this way and how you can get involved too. How long have you two been volunteering with Lazarus? We have been volunteering for almost two years. We both had volunteered at Health Day, but neither us were committed to serving every other week until a couple of years ago. What prompted you to get involved, and then keep serving? Lauren and I had recently gotten married, and we both wanted to become more involved in the church and serving together. We wanted to do something that would challenge us and our faith. We wanted to be a part of something that was bigger than us, that would force us out of our comfort zone. 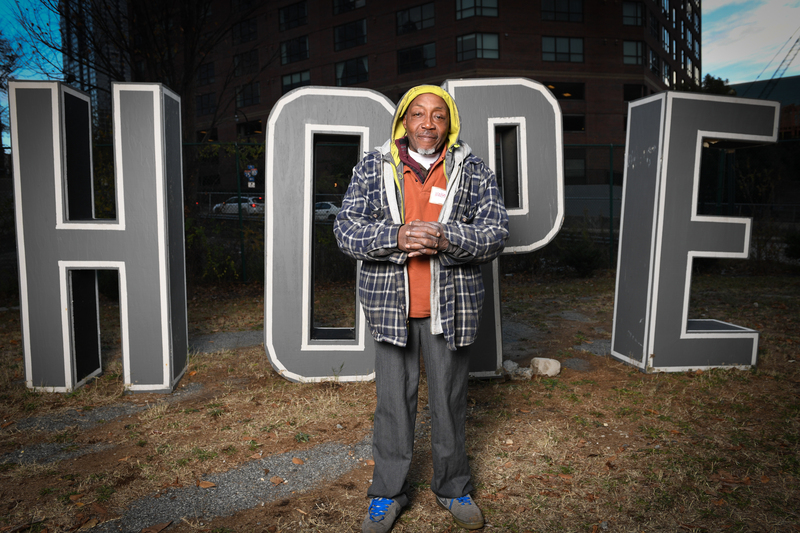 Lauren and I had both been a part of ministries that served people experiencing homelessness but not in the approach that Lazarus did. We both really respected that Lazarus was about bringing dignity to our homeless brothers and sisters, and we were excited to learn more. What do you enjoy the most about leading one of the Weekly Teams? Being a team leader makes you have accountability to showing up your week, but it is so rewarding. You begin to see faces each week that you recognize and begin to know. You learn stories about each person, and they learn more about you. Since you’ve been volunteering, is there a particular story or person you’ve met that sticks out in your mind? There are few people that automatically stick out in our minds. It is so hard just to pick one story or one person. James served in military, and has stories to share about traveling. He can play guitar, and has a smile that would warm anyone’s heart. He always has a bottle of ice water or juice in his backpack even when we are handing out hot chocolate in the freezing cold on Thursdays. I have even seen him outside of the time that we serve at Lazarus at the local library that we go to. John used to run all throughout high school. However, his knees have given out on him and he enjoys taking long walks and bike rides around the city. Lauren and I are both runners, so we always enjoy hearing the tips John has for us or the stories he shares about races. John has a daughter that visits regularly. Hearing him speak about how he loves his daughter and spends times with her reminds us that each person out on the streets has a story, a family, something more about them even if they do not always share. Michael is someone we have only known for a month or so, but he has opened up to us in a way we did not expect. Michael is so kind and such a hard worker. He has done security jobs and painting jobs in the time we have known him. He has had some health issues recently that have gotten in the way with him keeping certain jobs, but he always seems to be in high spirits when we see him. What do you see as the biggest impact Lazarus is making, short-term and long-term? Short-term, we see people out on the streets that we never see again, but you can tell in their face, that they just really needed someone to say hello to them that day, or they just really needed a cold cup of lemonade. On the flip side, some people see people serving day in and day out where we bring drinks, so a person showing up with some drinks does not mean that much to them. I hope that these are the people we touch in a long term way. We will have people come up to us and ask us about people on other teams in Lazarus. They will want us to tell so and so that they say hello and that they are doing well. Some ministries go out on the streets and make people listen to sermons before giving them food. In a sense they approach homelessness as a life of sinfulness. Many of the people I have met on the streets have a greater faith than me, and have told me stories of how God is an amazing provider. I love how Lazarus approaches ministry on a relational level. We get to create sustaining relationships that helps some of our friends have a sense of normalcy or maybe even a sense of peace. Instead of having one person show up once to hand out leftovers from the restaurant, the regular people in this area begin to recognize our faces and what we do, and slowly but surely we are building trust with the people in the area. We are able to create friendships with people that result in sharing parts of our life including our faith. What advice would you give new volunteers, or people looking to begin serving with Lazarus? Just go out and try it not once but a few times. Have an open mind, and expect to learn from the people you meet. What if millions of unemployed people were working because local nonprofits and churches intervened? What would it look like for the community to come together to support one another as we seek meaningful and dignifying work? It would change the world. 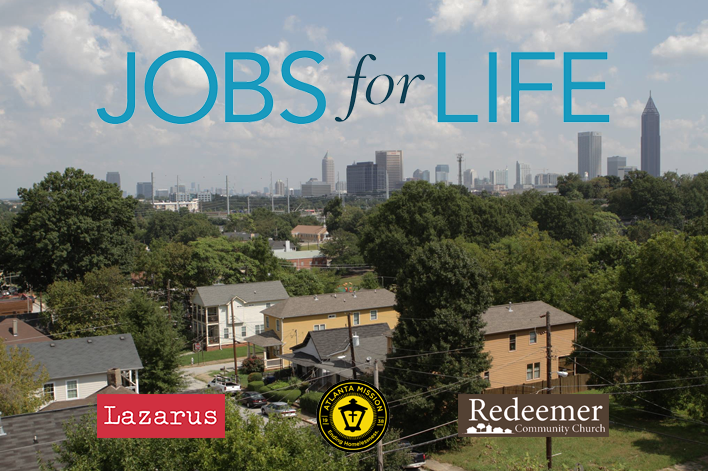 Starting in June, Lazarus will be partnering with our friends at Redeemer Community Church and Atlanta Mission to lead a 13-week Jobs for Life class at Redeemer for men. This is an incredible opportunity to come alongside and engage people who are looking for purposeful work. Currently, we are looking for champions, who can commit to being a part of the class. A “champion” is a mentor who comes alongside the students to inspire participants and teach skills that lead to employment, income, and economic freedom in the place of poverty and dependence. Would you consider becoming a champion for this class, or do you know someone who would? We will be holding an informal information session on Tuesday night, May 10 at Redeemer (128 Vine St NW, Atlanta, GA 30314) starting at 7pm. Want to know more? Read about Dan & Hakeem, two men who were changed by their Jobs for Life experience. As a man, you must understand the difference between needing others in Life and depending on others to Live. That quote was used by my friend, Hakeem Turner who I met last year while volunteering with Lazarus at the Atlanta Mission in a program called Jobs for Life (don’t you love collaboration?) The purpose of Jobs for Life is to help those in need find dignity through meaningful work and it also engages volunteers in mentoring relationships. JFL asks the volunteers, or Champions, to commit to journey with a student and help provide friendship, support and a sense of community that will help them complete the course and also overcome potential employment barriers down the road. JFL really stresses the fact that 80% of people find their jobs through personal relationships. And when you haven’t had a healthy network of friends, the process of seeking employment becomes even more difficult. So the relational aspect is crucial to employment opportunities and a big part of the dynamic that JFL, and Lazarus, seeks to change. As we began the JFL course, there were 10 students in the class and 10 Champions and I found myself immediately drawn to Hakeem. I left class each week motivated by his faith, enthusiasm and confidence. He knew he was right where he needed to be and was taking advantage of every opportunity offered him so he could prepare for where God was taking him next. As I drove home each week, I always would think – who is helping who here? 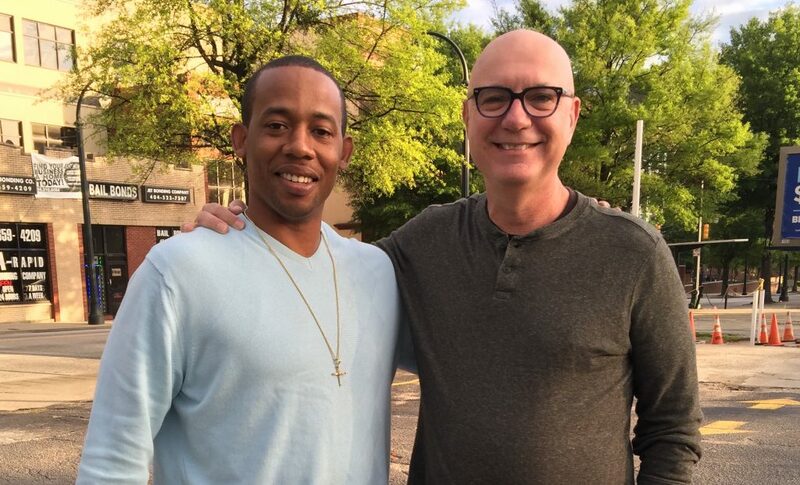 To reinforce the relational aspect, one night Hakeem was at the Mission when he normally wouldn’t be there because his Men’s Group had been cancelled due to weather. Because of those divine circumstances, he ran into a man from his church that he didn’t know was volunteering at the Mission. As they discussed his situation, he discovered the acquaintance was a business owner and was asked to come to his office the next day for an interview. That week, he was offered a job, even before the JFL class was completed. At the conclusion of the class, Hakeem and I began meeting monthly to share life, talk about his job, pray, but most importantly, develop a friendship. Little did he know he would become such an influence in my life, because a few months later, I was unexpectedly laid off from my job and our roles completely reversed. During that period, Hakeem was a huge encouragement to me through my unexpected change in circumstances. One day he checked in to see how I was doing and as I expressed my anxiousness, he told me to “Stop trying to figure it out. Just BE. Maybe God is trying to still you.” Over the next few months, as I sought counsel from others, Hakeem’s advice was some of the best I received. One of the things I’ve always loved about Lazarus is we believe kinship is rooted in mutual connection and responsibility for one another. As the last year has taken several twists and turns with new ministry and business ventures for both me and Hakeem, he has taught me what kinship looks like in an entirely new way and I’m proud to call him my friend. Want to be a champion? Be a part of our next class. I went to my first Lazarus event in 2010. I had been out to serve a few times with a weekly team, and a few weeks later I found myself at the 8th Annual Super Bowl Party. It was also the third year the party had included a Chili Cook-Off. This year we watched the game at the 14th Annual Super Bowl Party. (If you’re counting, fourteen years ago we were watching Super Bowl XXXVI.) 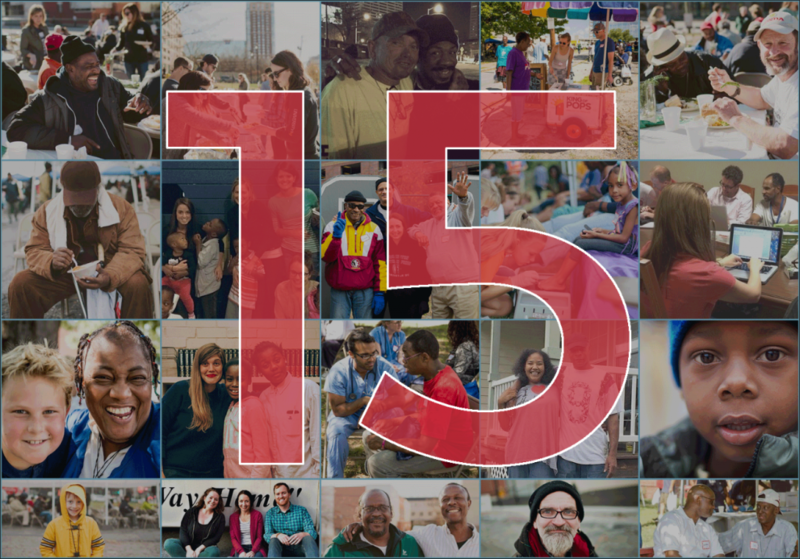 I try to imagine how Lazarus must have evolved as an organization in its 15 years- impacting lives, forming friendships, restoring dignity, and promoting kinship. I’ve seen so much change and growth in just six years, in myself and in the relationships I’ve formed. For many Lazarus events, I’ve helped with media relations and social media. I’ve also participated in a weekly team and served meals for the overflow at Gateway. I return to Lazarus events year over year because they transcend the divisions of economic or social differences. Volunteering doesn’t feel like volunteering. Serving doesn’t feel like serving. And the Super Bowl Party is especially unique. Mostly because that’s exactly what it is and that’s all it is- a party. This year, we enjoyed a bright, sunny day with hundreds of volunteers and guests. At every turn, I could see people taking pictures in the photo booth, thoughtfully considering their chili options, exchanging laughs and stories, and playing games (including several rounds of Bingo called by some very serious and committed MCs). We had more than 40 chilis vying for the titles of Best Overall Chili (Nate Willie won, with “Chili Chili Bang Bang”), Spiciest Chili (Emily Mayhew took this title with her recipe, “Adam’s Rib”), and Best Chili That’s Not Actually Chili (yes, that’s a category, and Mark Condit’s “Chili con Condit” won this category). 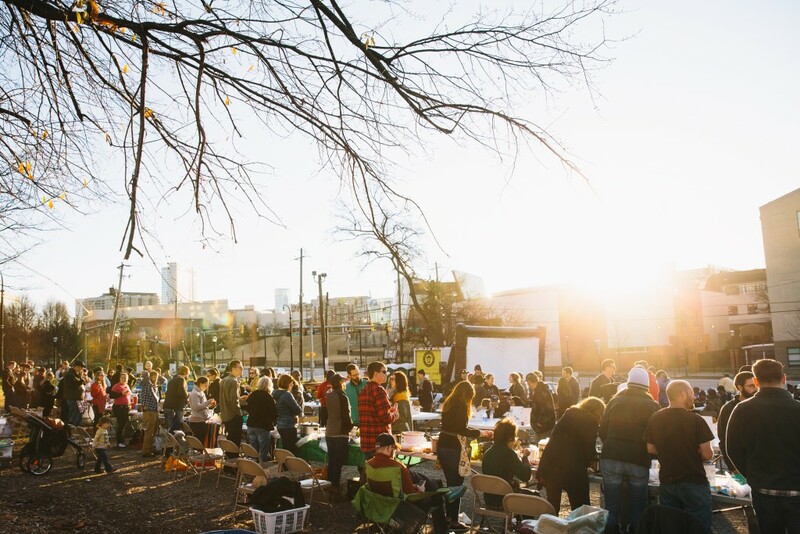 Lazarus truly embodies kinship and dignity through relationships, and there’s something beautiful and restoring about hanging out and feeling overwhelmed by the abundance of chili and popsicles (courtesy of our friends at King of Pops!) or debating Panthers vs. Broncos, regardless of how we got there. If you haven’t experienced this yet, just come to one of our events. The 14th Annual Lazarus Christmas Dinner was incredible. With the help of 160 wonderful volunteers, we celebrated Christmas and feasted alongside over 300 guests. Our tables were filled with beautiful decorations and heaping plates of food. People gathered around them, engaged in conversation and sang carols together. The barriers that often divide were no where to be seen. It was beautiful. An older lady who came as a guest told us on her way out that she expected heaven to be something like what she experienced today. Thank you so much to everyone who came out and made the dinner so great. Lazarus began 15 years ago today when Allison McGill decided to step outside of her comfort zone to extend dignity and kinship to people so often overlooked. Our organization wouldn’t be what it is today without your support over these many years. For that, we are so very thankful. 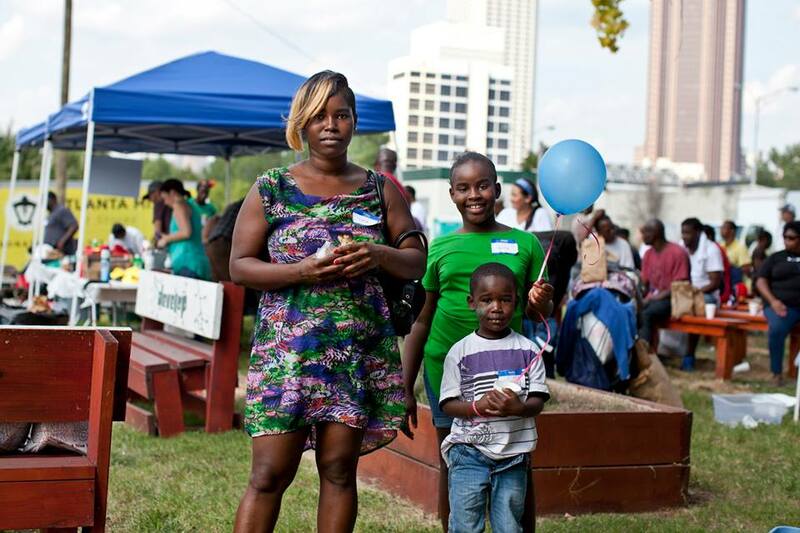 Your time, prayers, and donations have impacted so many lives in Atlanta, DC, and beyond. Will you celebrate this milestone with us? Tell your friends about Lazarus! We hope you have a blessed Thanksgiving. We’re thankful for you! As I rode my bike through downtown Atlanta looking for the Health Day site, I saw a sea of people in medical scrubs and immediately knew I was in the right spot. This was my first time in three years attending Health Day after moving back to Atlanta from a stint in Washington DC, and I had forgotten what a celebration of life that it is. Just days before the event, Allison McGill had asked me to help document the day’s activities through Lazarus’s social media channels. I feel like I was blessed with one of the best jobs of the event, since I got to tell the story of Health Day in real time as the day unfolded. After I arrived, Ben Parks shared with me Lazarus’s focus on kinship. What does that mean exactly? Dictionary.com defines kinship as “the state of having common characteristics or a common origin; a family relationship”. This was so interesting to me, because in my own work as a communicator for an international humanitarian organization, I always strive to tell the stories of the international people we serve in a way that portrays their dignity and builds global kinship. It’s not us here, and them over there, but rather we are all humans with similar struggles and desires to be known and loved and longing for community. So I began to look at Health Day through that lens of kinship, and as I observed how people interacted that day, everyone blended in as though we were all truly were part of a family. We were all one big tribe, celebrating life together that day. 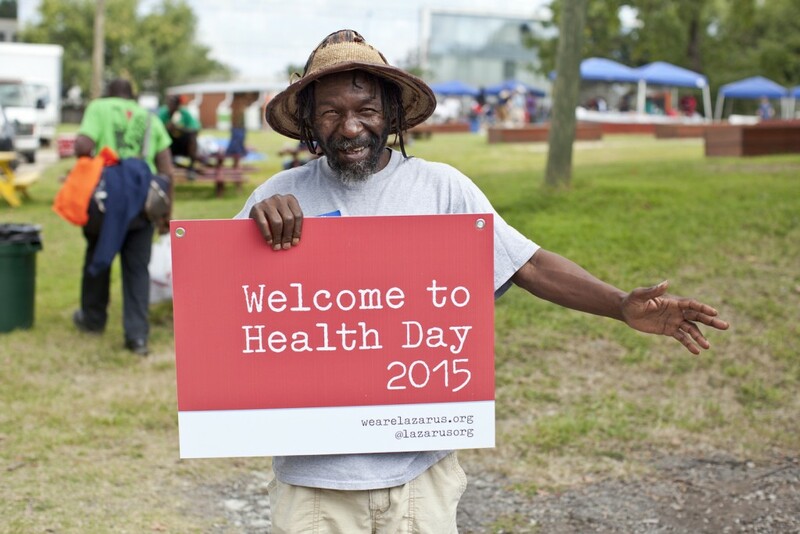 The normal divisions of groups that you often see at a party don’t exist at Health Day. This notion of kinship could be seen in the way the medical volunteers provided health services, to the way people shopped for clothes together, shared career advice, treated themselves to pedicures and played games and danced. I’m not a medical professional, but I am a dancer, so my favorite place to be was near the stage with the music. It all started with a little Michael Jackson…and there was one dude who stayed on the dance floor the entire day. His joy and stamina were both impressive and inspiring. During the karaoke session, there was a young man who moved the crowd to their feet with his own original number, called “Superblessed”. Then the day concluded with a joint worship session from the Historic Ebenezer Baptist Church choir followed by a sermon from Kris McDaniel, the lead pastor at Trinity Anglican. 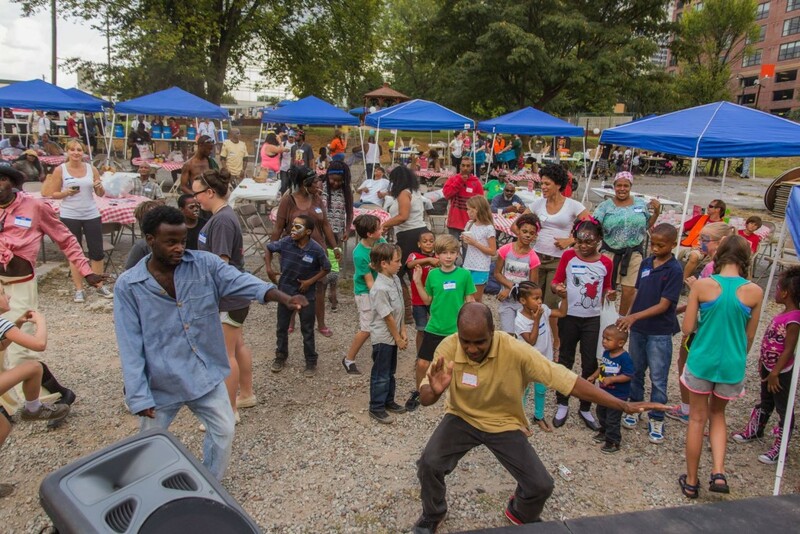 One of my favorite moments I captured on Instagram was the dance party that included kids and adults from all walks of life at the event, and I thought “this is what Health Day is all about”…people coming together no matter where you come from or what you’re dealing with, feeling good and celebrating the gift of life that God has given us. It was a good day. You can view more pictures of this beautiful day here.